The harvest doesn’t come from the balcony, but my parents’ garden. They allowed me to plant some of their plots. So first we had to clean them. I told them not to turn over the soil, because I really don’t see the benefits of it. I mean, yes, of course I know them in theory, but more than anything else it’s a lot of work and it’s bad for your back (and we didn’t have compost anyway). 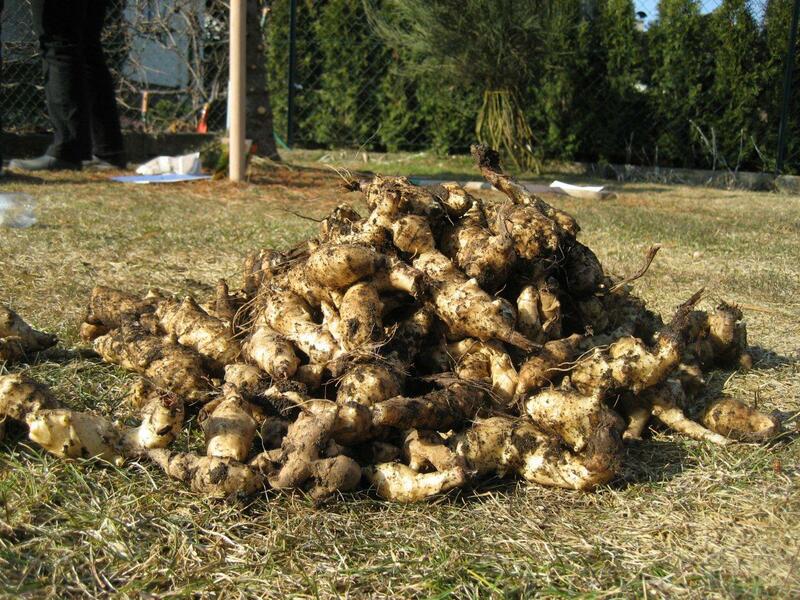 During the cleaning we dug up the Jerusalem artichokes. I took home about two kilo of them. The blue colander is back! It’s dandelions and bitter-cress! Dandelions (Taraxacum sect. Ruderalia) are best harvested right now (march/april). They taste great as salad or in soups. If the salad is too bitter for your taste, add a cooked potato. Large bitter-cress (Cardamine amara) is less famous than its relative watercress (Nasturtium officinale) but way easier to find. Both like wet soil. The taste of Cardamine amara is similar to garden cress (Lepidium sativum, they all belong to the cabbage family, Brassicaceae). If you go foraging, take the young and tender rosettes. 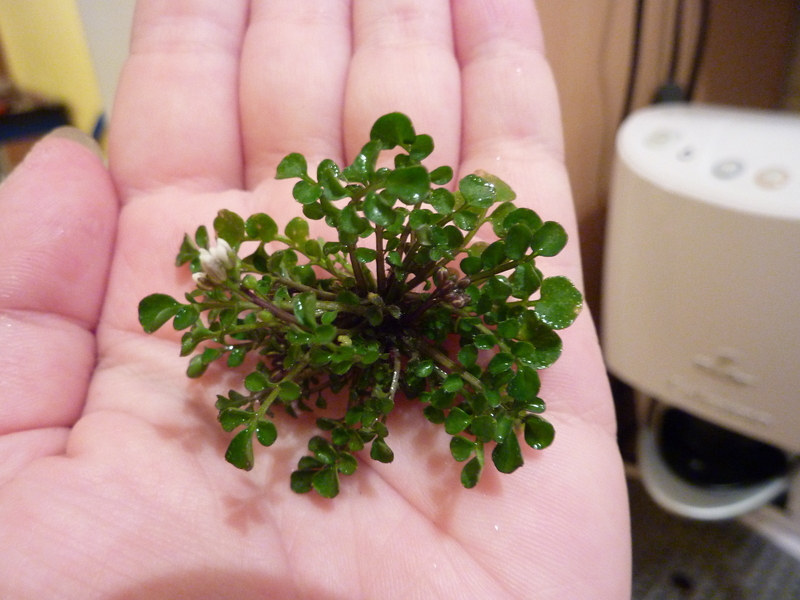 Bitter-cress looks similar not only to watercress but also to Cardamine pratensis and Barbarea vulgaris. All of them are edible, but of course you’ll want to be sure what it is before you eat it. It’s already tuesday, but I enter this post for Harvest Monday. 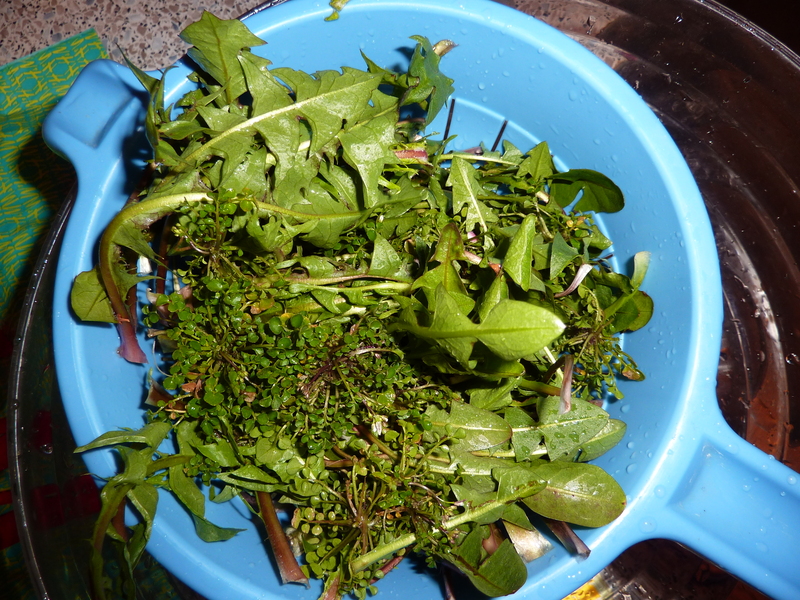 Take a look at Daphne’s Dandelions to see more harvests from garden bloggers around the world!